They were resilient, they were loud, and they were energetic. But they just weren’t enough. Despite a viscous comeback, the Werewolves fell to Lob City, 89-84, in the Winter 2019 Finals after two overtimes. Lob City was doing their usual Wednesday-night thing: exploding offensively, and suffocating defensively. They were up 41-22 at half, and had just went on a 20-9 run throughout the entire second quarter. Greg Holt and Cody Crawford were cruising, and it showed in the stat sheet. They finished 10-21 combined from deep, with a few late game heroics to save the season. Ultimately, Holt was unstoppable. He shot 13-of-26 and scored 36 points on the way to his first Finals MVP Award. His fadeaway in overtime when Lob City seemed too spent to handle the Werewolves surge may have been the shot of the season. He finished with four rebounds, three assists, and three steals, as well, with a few coming in the overtime period. However miraculous Holt may have been, that was far from the story everyone had on their minds leaving the Johnston Rec Center on Wednesday. Brian Heston and Dave Campbell led the Werewolves in an explosive 40-point fourth quarter to storm back and force overtime. Heading into the fourth quarter, the Werewolves trailed by 15 points, but weren’t out of it. Heston and Campbell traded buckets in the final minutes of regulation, and capitalized on 17 missed free throws from Lob City. Heston drew contact on a three-point attempt as time expired in regulation, and knocked down all three free throws to send the game to overtime. Prior to Holt’s three, the Werewolves had a four-point lead over the defending champs in the first overtime, all led by the two of them. Coming out of the break, he banked in the exact same three he had attempted a few seconds ago, only at the alternating elbow-extended mark. All the momentum seemed to be with the Werewolves in the first overtime period, but Lob City was not only experienced, but deeper. Much deeper. Heston and Campbell combined for 81 of the Werewolves’ 84 points, and that was what hurt them. Apart from Holt, Crawford added 20 points and 10 rebounds, while Kashouh Jr. contributed 11 points and eight boards. The rest of the team added 22 points and 22 rebounds, the polar opposite of the Werewolves side of the box score. 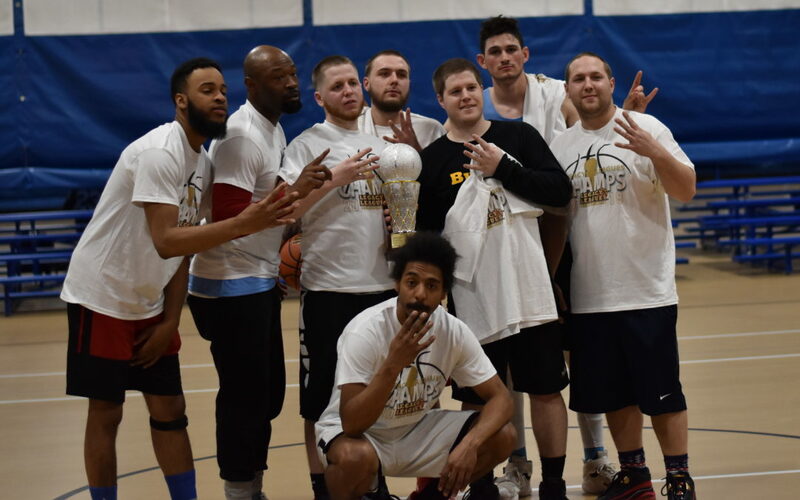 With the victory, Lob City completed their first undefeated season since the Fall of 2017, when they went by The Alliance and were led by MVP Max Matroni. 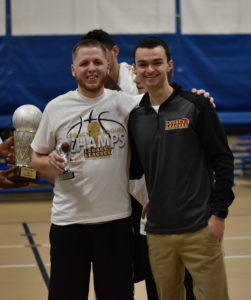 It was their fourth title in four seasons playing in The Legacy Leagues.